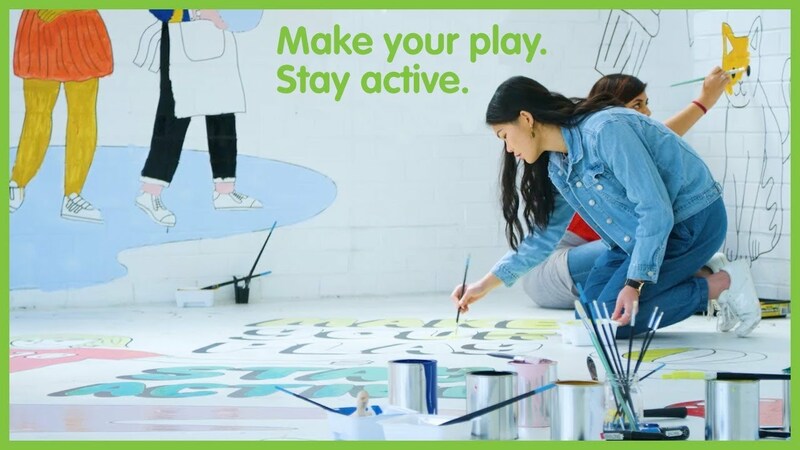 Staying active can improve your sleep, give you more energy and help manage stress - all helping you keep a healthy headspace. We get it – when you’re feeling stressed or low you probably feel more like watching TV than being active. But it’s often when you least feel like it that you most need it. You may know that exercise is good for your physical health, but it also improves your wellbeing, too! And exercising doesn’t have to be running on the treadmill. It’s really anything that gets your body moving and increases your heart rate. Activities like walking, playing sport, dancing or swimming will all help you release stress and give you a better chance of improving your mood. There are so many benefits to staying active. release stress and lower anxiety. Alex Parker is an Exercise and Mental Health Professor. Here are her tips to help you get active. Start small. If you start by setting small goals you will be more likely to do them and this will help you feel more motivated. Keep track. Monitor your progress and track the benefits after you exercise. This will help you see connections between how moving more helps you feel better. Do what you enjoy. Whether you enjoy working hard, for short periods of time, or prefer swimming at the beach it will be a lot easier to stick to it if you're having fun! Make the time (even when you’re busy). When you’re busy and stressed, exercise can be the first thing you stop. But being active during busy times will actually help you through tough periods. Set a routine. Plan ahead and make physical activity a part of your routine. Things like having your workout gear ready the night before and setting an alarm can help you stick to your goals. It wasn’t easy to get back into it, so I started small, with short walks, and built up. The more active I became – walking, running, weights at the gym – the stronger I felt and the more energy I had. I felt more calm and found it easier to focus. And my self-esteem improved – being strong physically helped me feel stronger mentally. When you’re feeling low and stressed, it’s important to put healthy habits in place – to give yourself a better chance of coping with life’s challenges. Developing your own positive ways to handle tough times can make you more resilient, develop your self-awareness and build your confidence. All these things help to keep your headspace healthy. Achieving small tasks and doing things you enjoy can boost your confidence and lift your mood – helping you keep a healthy headspace.